I think from a young age, I always knew I was going to be a girly girl. I was definitely one of the last of my friends to let go of my Barbies but also the first to start experimenting with make-up and hair. And let's not even mention dressing up in my mom's clothes and my obsession with Spice Girls. Girl power! On one of my recent shopping trips while I was browsing through the make-up stands in Superdrug, I overheard this adorable teenager with her mom picking out what I presumed to be one of her first perfumes. They were both asking the shop assistant what was most popular and which scent would be best for school. As well as wanting to run over and hug her for being so cute, it also got me thinking about my own experiences with perfume over the years. And that's how the idea for this blog post came along! Apart from baby powder, you don't see many toddlers being doused in perfume so my first experience came from Barbie. All of my friends had this barbie and we really thought we were the shizz with this perfume. I had the whole collection so that meant multiple of these little bottles of "tropical splash". It smelt amazing and I'd probably still wear it today. Next came my early high school phase of always carrying around either a can of So...?, Charlie or Impulse. Once again me and my friends thought we were so cool with these and we always had to rush to Superdrug as well as soon as a new fragrance was released. Even now they're quite handy to have knocking around in your handbag but back then - they were everything! Next came my "I'm a teenager so I demand adult perfume" phase. 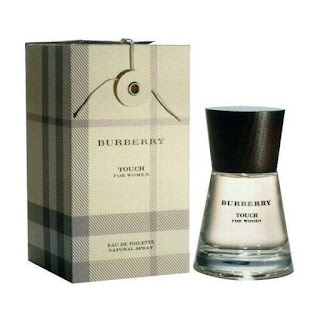 My keen favourite was my Burberry Touch bottle and I can even remember going down to my local shopping centre on a Saturday with my friends to go buy it from Savers with my pocket money. I felt SO cool! Looking back now I completely regret buying both the Diesel and Britney perfumes as they both bring an overwhelming wave of nausea! The one I really loved from this period was the Ghost Sheer Summer fragrance that I actually brought on an aeroplane on my way over to Greece! I've never seen it in the shops but I would love to get my hands on another bottle! This was my "I've left school now so I'm definitely an adult" phase. 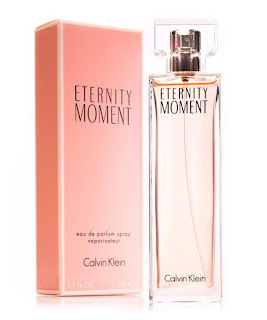 The Very Irresistible Givency reminds me of my aunt's wedding as I think she used a whole 100ml on herself in one day. Even though that marriage didn't work out, my love for this perfume is still going strong. Too harsh? 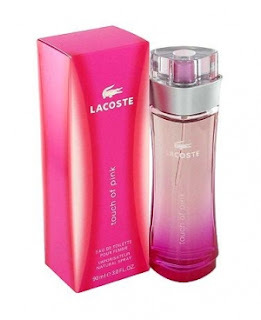 The Eternity Moment and the Lacoste Touch of Pink was a Christmas gift off my parents and I made a big fussed because I was sure I was in love with it after smelling a tester and liking the advert. Needless to say I was glad when this ran out because it ended up making me feel sick. 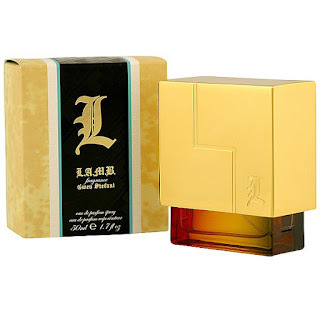 Another favourite from this time in my life was the L.A.M.B perfume by Gwen Stefani. I don't really like buying celebrities perfume as most are too sickly and don't have real staying power but I have to admit that I did fall head over heels in love with this one! I haven't seen it in shops for years but I've just found out it got discontinued! Oh the pain! And now this is my current perfume favourites and ones that I will wear probably on a daily basis! 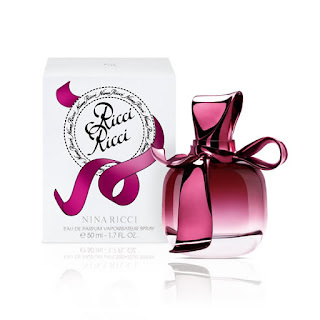 An ex brought me the Ricci Ricci perfume for my 20th birthday and even know 5 years on I'm still loving the scent - I couldn't even guess what number bottle I'm on now. 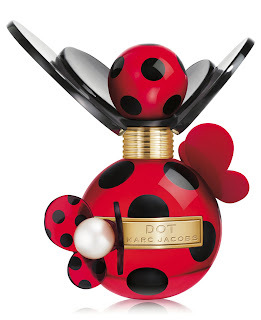 Another ex brought me the Marc Jacobs Dot perfume and although I love it, I'm scared to use it all because it's smells so gorgeous! 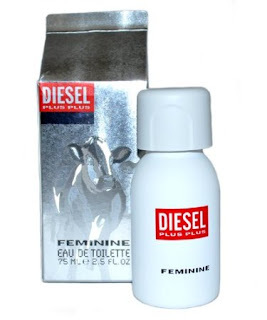 My other favourite perfumes were presents off my parents. I really don't seem to have brought any perfumes myself recently! 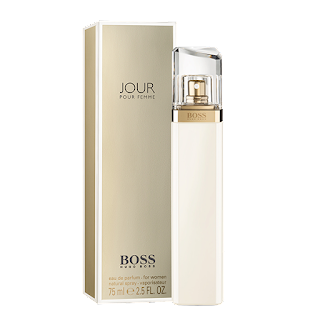 I asked them for the Boss Jour perfume as I fell in love with it in Duty Free but the Calvin Klein In2U was a surprise for last Christmas. They are complete opposites of each other as the Boss is quite a musky floral scent and the IN2U is very light and fresh. I love to be able to look back and see what perfumes I've used over the years and it's actually uncovered a few ones that I forgot. Over the years I've grown to know what kind of scents I like and suit me best so I'd say I'm really lucky to love every perfume that I now own. I do like a bit of a variety of my fragrances as I don't see the point of having perfumes that all smell similar so there's not much a connection between all of these scents. I like what I like! What perfumes are in YOUR fragrance history? Labels: barbie, boss, britney spears, burberry, calvin klein, charlie, diesel, fragrance, ghost, givency, impulse, lacoste, LAMB, marc jacobs, nina ricci, perfume, so? Omg I used to LOVE Britney Spears Curious! haha Such a fun post to read! Oh wow, you've had such an early start to fragrance! I only started wearing perfume consistently last year, embarassingly, hahaha. This was such a great post, Natalie! What an interesting read! I loved So...Kiss Me and even had the perfume of that one! Britney was a mistake and now I live on Armani's Si and Touch of Pink. Perfumes smell different on everyone and there isn't a day that goes by where I don't get complimented on ToP. It's really quite weak on me and Marc Jacobs anything makes me feel really sick. Strange huh!? Oh, and I had no idea that there was a Barbie with a fragrance for you. Why didn't I have that?! Thank you :) Oh you were even cooler if you had the perfume versions of the So..? sprays haha I haven't tried the Armani Si so I might have to try that out when I'm next out! I used to love So...? and touch of pink by lacoste. It made me feel sick too so when it ran out I did not want another one. My current fav: Miss Dior. Why does Touch of Pink do that?! I know a few other people who've grown sick of it. Such a shame because I remember loving it - I even had the shower gel! I don't remember the earliest perfume but I remember using that glitter roll thing that used to smell nice and just lathering my body in it haha. I remember when everyone went through the Charlie stage, got that stuff stinks!! haha. I think my first perfume was a Mary-Kate and Ashley one years ago, which my friends and I absolutely loved because we were obsessed with all of their movies.